Happy Friday, y’all! It’s time for a new edition ofWhat Caught My Eye! I’m excited to share a new-to-me retailer with you today - Boutique Rugs! 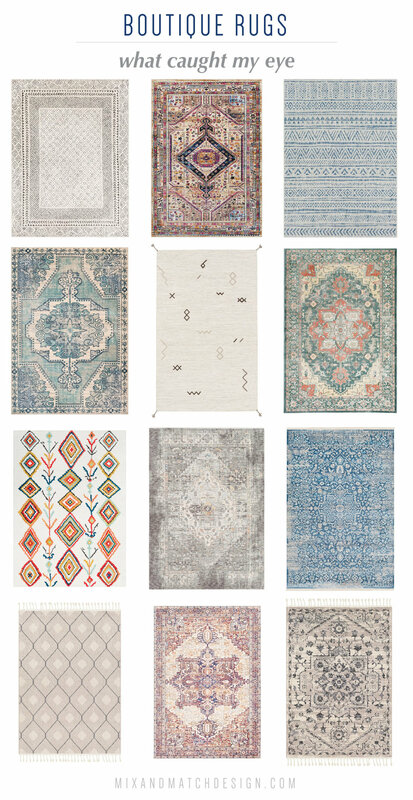 I’ve been seriously impressed by their collection of rugs as I’ve been browsing their site for the last few months. They carry a wide variety styles including vintage-style Persian, Moroccan shag, modern geometric, and so many more. Seriously, you’ll be amazed at the selection! They’ve done a nice job of carrying lots of brands across all different price points too. Since their catalog is SO vast, it can seem overwhelming at first to find what you’re actually looking for, but they have some nice filters you can use to narrow it down pretty quickly. You can search by categories like color, size, style, and price. Those have certainly helped me when I’m hunting for the perfect rug for a client! Also, you’ll be excited to hear that they’re having a 40% off sale right now (woohoo!) - just use code WINTER40 at checkout to receive the discount. Now let’s take a look at what rugs caught my eye. I’ve got 24 of ‘em to get you started in case you’re on the hunt for your own home! You’ll find the links to my favorites below each graphic - simply click the link to head over to the Boutique Rugs website. Happy shopping! What I love about shopping a large retailer with one focus (rugs!) is that it’s typically easier to find what you’re looking for than a massive retailer that has a little bit of everything. Both have pros and cons, but I definitely appreciate that I can go to Boutique Rugs and focus just on rug shopping - whether it’s for my own home or for a design client. 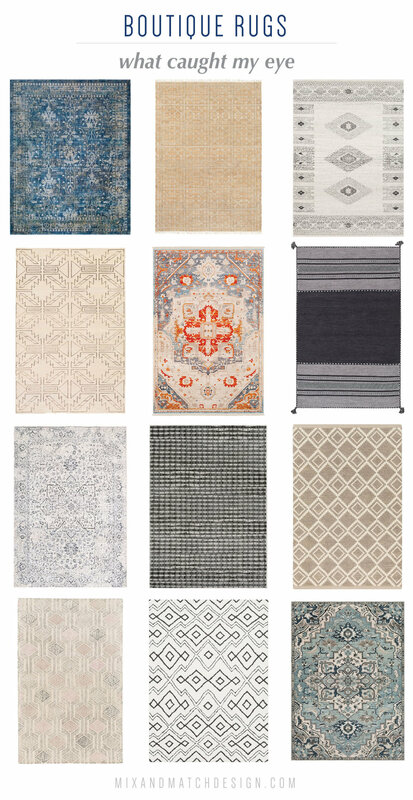 So, what caught your eye from this rug roundup? Have you ever shopped Boutique Rugs before? If you purchase one of these rugs for your home, let me know! I’d love to see it!